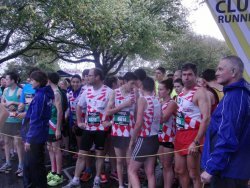 The City of Coutances in Normandy, France have for the last 29 years invited Hampshire Athletics to send teams to run in the Coutances International Cross-Country races in November. 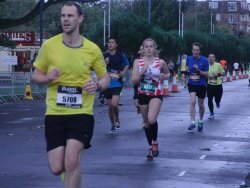 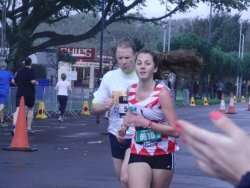 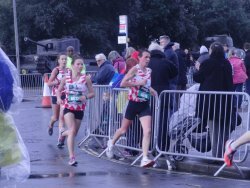 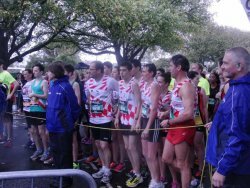 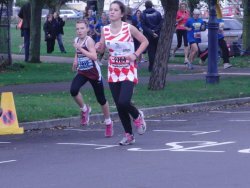 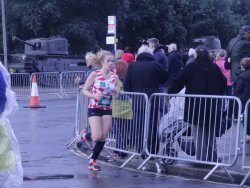 This year Hampshire Athletics invited the Coutances Athletic Club to compete in the Great South 5K Race and the 2.5K Junior races which took place on Saturday 26 October 2013. 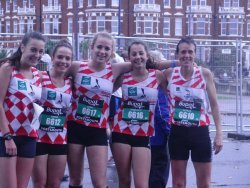 Unfortunately we could not organise the weather conditions for the French visitors but nevertheless they had a great time being looked after by families of Hampshire athletes. 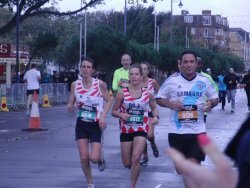 The French runners did very well despite the conditions of heavy rain and wind. 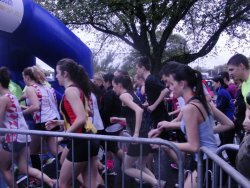 The star of the Coutances team was Alexandre Lesaulnier who finished the 5K race in 4th position in his category. 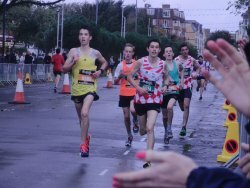 Alexandre is only 16 years old and must be a future contender for honours in French running. 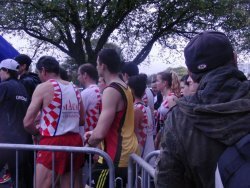 Guillaume Ruel was not far behind Alexandre to finish in 6th position, Leo Langlois finishing strong to take 10th place and Joachim Le Barrilier was 12th. 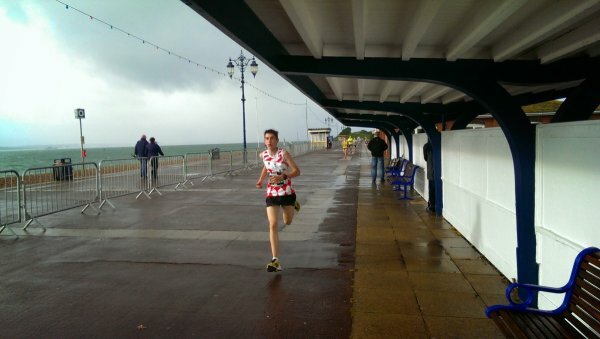 In the Junior 2.5K race Lambert Samson had a great run to finish in 6th position. 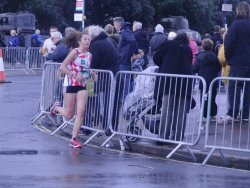 Nolwen Bachelet did well to finish in 17th position in the Girls' Junior race. 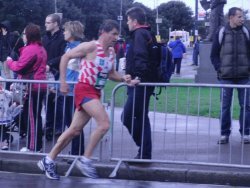 It was good to see the Coutances Club President Fabrice Freret have a good run in the 5K race finishing in 24th place, with last years' President Francois Lecoeur also running well to take 32nd position.